Say hello to little Tayir (tai-year). 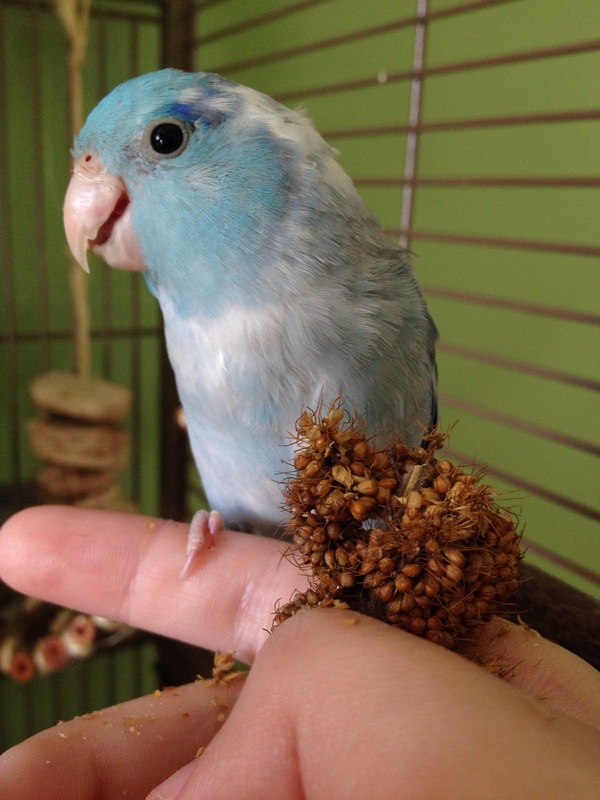 This 25 gram parrotlet joined our flock in late 2015, and has been fitting in ever since. He loves food, bath time, and (to Ptak’s dismay) his big brother. I just realised that while I introduced him on the SwB Facebook page, I forgot to do so here! Tayir is also a talker. He has many new words (a favourite being ‘Ptak’) and sound effects to match. I’ll try and grab some video to put up. Like many parrotlets, Tayir is fierce, and has a mind of his own. Look for more birdy updates soon! Tayir is just adorable…..almost as much as Ptak! 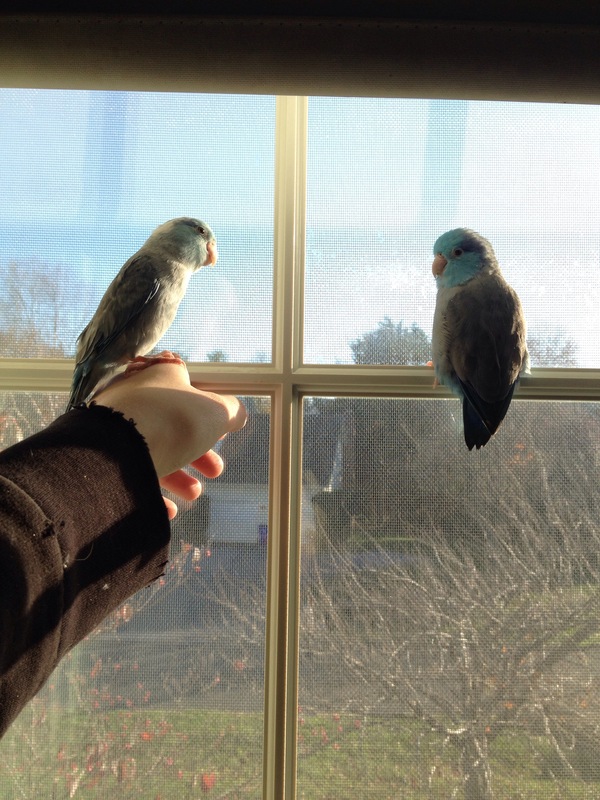 Where do you find these beautiful little parrotlets? Thanks – I just want to smush him, haha. hey im creating an app for bird watchers and i need some background info could you please take this survey and then pass it on to other bird watchers please.